Will Theresa Spence's hunger strike lose impact? By Mark GollomAlthough a number of First Nations chiefs put pressure on her to end her crusade, Attawapiskat Chief Theresa Spence, so far, is continuing on with her month-long hunger strike. Spence, who has been living on a diet of fish broth, vitamins and tea since Dec. 11, has insisted she will continue the protest until she gets a meeting with Prime Minister Stephen Harper and Gov. Gen. David Johnston to discuss "treaty issues." But now that Harper has met with some First Nations leaders on Friday and Spence herself joined other chiefs at a ceremonial event at Rideau Hall with the Governor General, questions may rise as to what effectiveness her hunger strike will continue to have. "I think the challenge that Chief Spence may face is that a lot of people thought they understood what [she was] looking for was a meeting between the Aboriginal People and the prime minister," said Chris Waddell, director of the School of Journalism and Communication at Ottawa's Carleton University. "So for a lot of people, they will now say 'Well, there was a meeting between the Aboriginal People and the prime minister. So what's the problem? So if you want to continue the hunger strike, what is it exactly that you wanted that you didn't get that you would be able to get now.'" Spence's demands at times have seemed unclear—whether or not she wanted a direct meeting with Harper and Johnson or if a meeting with First Nations leaders and the prime minister and Governor General would suffice. Waddell said that a hunger strike is most effective if it's clearly linked to specific issues and specific demands, but that it appears in Spence's case, the issues seem to be nebulous. "In this case, it appears that the reason for the hunger strike changes. When you try to attract attention by doing something like this, you, to some degree, risk losing some of that attention when it doesn't appear consistent to why you're doing it. "Who's in charge? Spence continues to be the figurehead for Idle No More, and perhaps its spiritual and moral center. But as the following postings note, she doesn't lead or even speak for the movement. First Nations and hunger-striking chief don't speak for movement, co-founder saysOne of the originators of the Idle No More movement says she supports Attawapiskat Chief Theresa Spence, but is concerned with how the media is portraying her as the leader of the grassroots campaign. "Idle No More is the face of all indigenous people, all grassroots people," Sylvia McAdam said Monday, following a forum with university students in Regina. "It's not just the face of one. We hardly have any communications with Chief Spence." Spence has been limiting her food intake since Dec. 10, consuming only fish broth, water and medicinal tea in an effort to force a meeting attended by both Prime Minister Stephen Harper and Gov. Gen. David Johnston to address First Nations issues.And:McAdam said recent coverage of the movement has focused on Spence and other First Nations chiefs, but insists they do not speak for the movement. She said even the originators are not the official voice of the campaign. "The founders have been looked toward for guidance and discussions, if that can be defined as leadership," she said. McAdam also questioned the actions of some First Nations planning blockades at border crossings and rail lines. "I think those portray a message of aggressiveness," McAdam said. "That's not peaceful.Meanwhile, the Assembly of First Nations has met with Harper, but the chiefs also don't speak for Idle No More. Idle No More co-founder supports Spence, not blockadesAmidst mounting protests throughout Canada, Prime Minister Stephen Harper agreed to a meeting with the Assembly of First Nations last week to address a number of aboriginal concerns, including the resolution of land claims and giving First Nations a “fair share” of resource development revenues. The AFN also asked the Conservatives to reconsider the omnibus budget legislation, Bill C-45, which they say erodes treaty and indigenous rights. However, McAdam said the AFN has different goals than the Idle No More movement and the organization cannot speak on behalf of the activists. 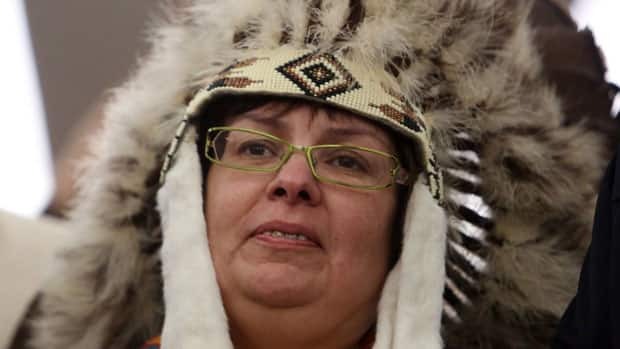 “It doesn’t begin to address the issue that Idle No More is attempting to stop and that’s the legislation that’s going through Parliament,” she said, adding that the agenda that emerged during Friday’s meeting between the AFN and Prime Minister Stephen Harper is too narrow to capture the essence of the grassroots movement. “All I can say is no political organization can speak on behalf of Idle No More. “We speak on different topics. We speak about removing the legislation that's going through parliament and we also speak on behalf of indigenous sovereignty, protection of land and water,” she said.Comment: It seems unlikely we'll reach a point where all the Native parties say, "Okay, we have exactly what we want." If Canada's tribal leaders were doing what the grassroots wanted, there'd be no need for Idle No More and it wouldn't exist. In other words, how the tension between Idle No More, its founders, Chief Spence, and the other tribal chiefs will play out is anyone's guess. Stay tuned for more developments. For more on Idle No More, see Supervisor: Idle No More Is "Pointless" and Harper Meets Chiefs.